The time honoured tradition of forged iron is realized in this piece which combines two widths of iron and an elegant beveled glass pattern to achieve a sophisticated old world look. The simple elegance of our Diamanti Classic decorative glass in a half-lite blends an array of textured glass elements with contemporary zinc caming. 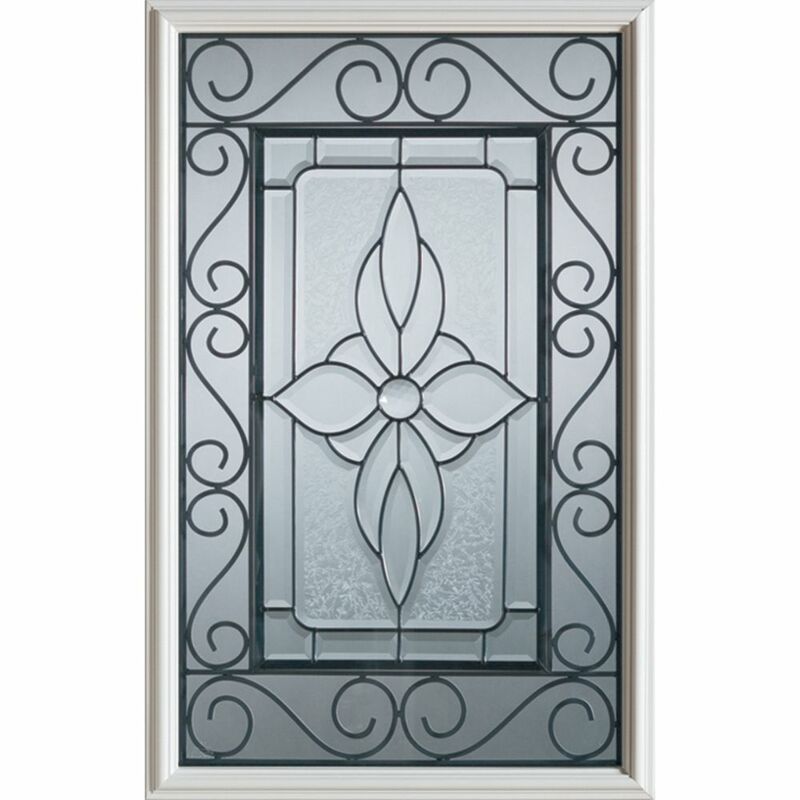 23 inch x 37 inch Wrought Iron 1/2 Lite Decorative Glass Insert The time honoured tradition of forged iron is realized in this piece which combines two widths of iron and an elegant beveled glass pattern to achieve a sophisticated old world look.